A female K-9 instructor in the New York City Department of Correction claims in a new federal lawsuit that she is being punished for filing a sexual harassment complaint against a male co-worker. Donna Schnirring, who worked in the elite Emergency Services Unit, was transferred along with several other officers last June after an alleged physical altercation at the team’s trailer on Rikers Island. "I was nowhere to be found on Rikers Island at the time," said Schnirring in an exclusive I-Team interview, adding that she'd worked an earlier tour. Schnirring, the only female certified K-9 narcotics and patrol trainer in New York state, said she was never interviewed by DOC investigators and never brought up on any disciplinary charges. "No one’s given me any reason as to why they removed me," she said. Schnirring was reassigned to a desk job at Queens Central Booking without her partner, 8-year-old Bullet, a German Shepherd. He is the property of DOC but for the past six years, has lived with Schnirring at her Long Island home. "We’re already trained. If we were in the facility working, we could retrieve more contraband and assist to make it safer. Why wouldn’t the Department want that? It’s a complete waste," she said. 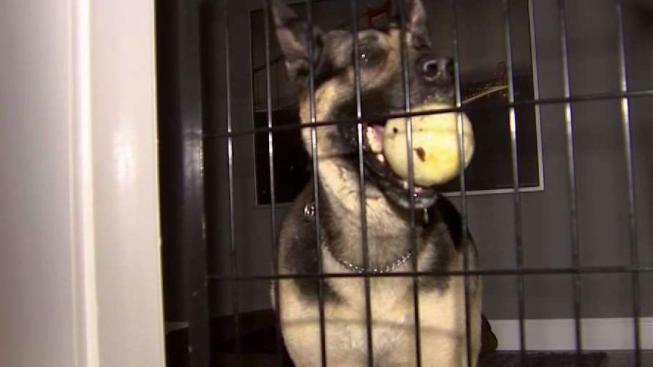 In a statement, Peter Thorne, a spokesman for the Correction Department said, "The officer’s robust training does not restrict her to K-9 activities." Schnirring’s attorney, Daniela Nanau, said New York City taxpayers are getting punished along with her client. "We invested thousands of dollars in her training. Now, we’re not reaping the benefits of that training because she’s benched after complaining about sexual harassment." Schnirring filed an EEO complaint with DOC in January 2017 which was eventually found to be unsubstantiated. She said she and Bullet just want to utilize their talents to keep the jails safer. And the separation is taking a toll. The two are normally together 24 hours day and night. "He’s like my child. I don’t have a child. It’s heartbreaking. It’s very hard to get through the day," she said.